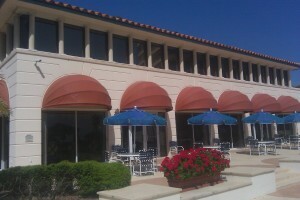 Solar-X provided replacement window film and tinting services to one of Longboat Key’s finest! “Grand Bay” is a luxury condominium situated on one of the more beautiful bay-side areas of Longboat Key. 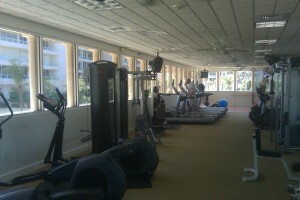 Recently, we were contacted by the Chairman of the Property Management Committee regarding the possible replacement of window film on the complexes Fitness Center. It was plain from the beginning that we were dealing with a “no nonsense” individual who was unafraid to ask hard questions and demand straight answers about our window tinting products and services. He wanted to know whose products we used – and why. He wanted to compare performance, and warranty coverage. He was looking for quality product; and professional, top grade installation. Professionalism from consultation to installation. An extensive consultation took place between the Committee Chairman and Solar-X of Sarasota’s Brian Gregg. After careful consideration, Brian suggested Panorama® “Slate 20;” a dual-reflective window film whose combination of high performance, and low interior reflectance was guaranteed to help with their heat intrusion; and please the eye with its enhanced aesthetics. The industry-leading coverage of Panorama’s “Premier Plus” warranty, and performance certification from the National Fenestration Rating Council added the assurance of recognized quality. Solar-X of Sarasota’s thirty-seven year involvement in the window tinting industry, our factory-trained and certified installers, and our overall professionalism “sealed the deal.” After several more “Q & A” sessions, Grand Bay selected Solar-X of Sarasota. The installation – as expected – went smoothly, without disruption, and the residents are now enjoying the performance and new-found good looks of their Panorama® window film. How can Solar-X assist with your film installation? Solar-X of Sarasota has been satisfying the discriminating buyers on Longboat Key and Anna Maria, as well as Bradenton, Sarasota, and Venice for nearly four decades. Call us today!